“Mayak” was established in 1946, and by 1949 it had produced the first Soviet nuclear bomb. After this initial success, Moscow demanded ever more bombs, and allowed ever less time to make them. “Mayak” delivered. But it paid a price. As a result of disregarding basic safety standards, 17,245 workers received radiation overdoses between 1948 and 1958. Dumping of radioactive waste into the nearby river from 1949 to 1952 caused several breakouts of radiation sickness in villages downstream. Residents of the area were thus familiar with the invisible dangers coming from the secret site. This time, however, radioactivity descended on people and places without any obvious pattern. So what had happened? The cooling system of a cistern containing radioactive waste had failed. And nobody had noticed. The waste started to heat up, eventually exploding at a temperature of 350 degrees Celsius. The 160-ton concrete cover burst, flinging 20 million curies of radioactive material into the sky, where it was scattered by the wind. It settled over an area of 20,000 square kilometers, home to 270,000 people. It was impossible to keep information about the disaster from leaking out, at least in the surrounding area. The Western world, though, came to hear about it only in 1976, when Soviet emigrant Zhores Medvedev first revealed some facts about the catastrophe. The CIA had known about it long before; by 1960 its network of informants and aerial spy photos had provided it with a clear picture of what had happened. Those documents were later published, but long kept away from the public so as not to put the image of the emerging nuclear industry at risk or cause people to ask questions about safety issues at the US government’s own Hanford nuclear site. Indeed, government laboratories even put out statements downplaying Medvedev’s accounts of the seriousness of the Kyshtym incident. Moscow, of course, was delighted. 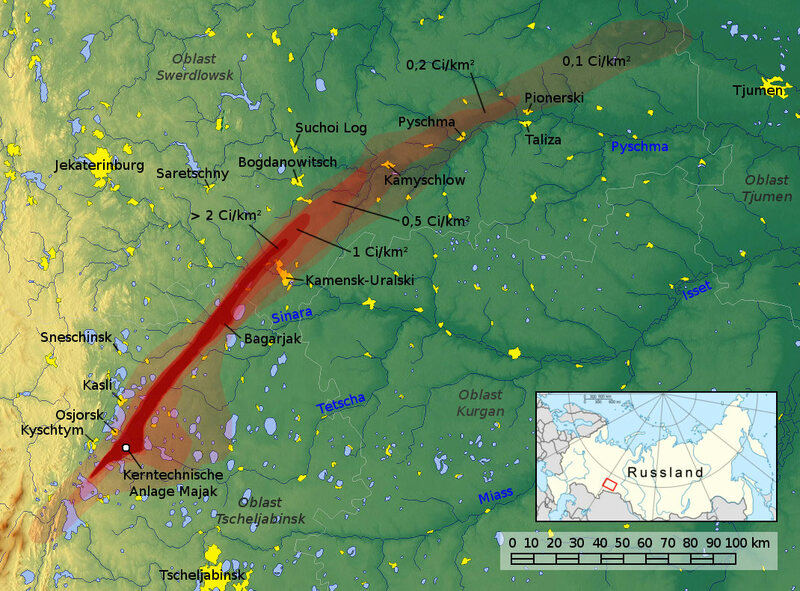 Thus, the Kyshtym disaster also tells a story about the Cold War’s occasional absurdities—the CIA actually helped the Soviet Union keep its first nuclear catastrophe a secret until 1989. Rabl, Thomas. 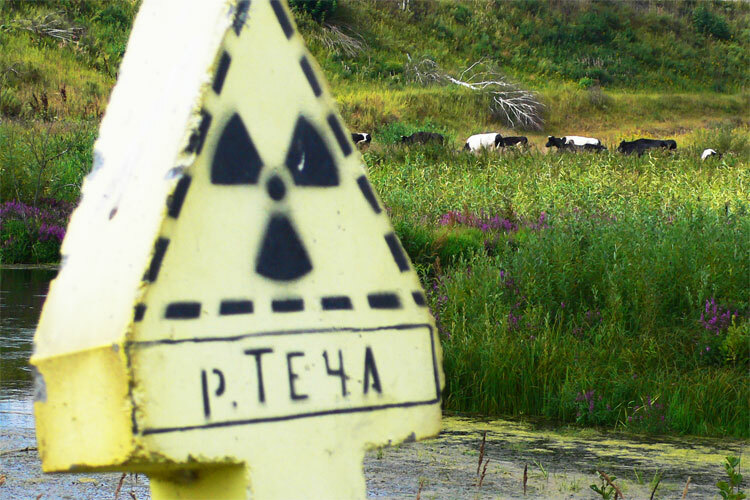 “The Nuclear Disaster of Kyshtym 1957 and the Politics of the Cold War.” Environment & Society Portal, Arcadia (2012), no. 20. Rachel Carson Center for Environment and Society. https://doi.org/10.5282/rcc/4967. Cochran, Thomas B., Robert S. Norris, and Oleg A. Bukharin. Making the Russian Bomb: From Stalin to Yeltsin. Boulder, Colo.: Westview, 1995. Josephson, Paul R. Resources Under Regimes: Technology, Environment, and the State. Cambridge: Harvard University Press, 2005. Medvedev, Zhores A. Nuclear Disaster in the Urals, New York: W.W. Norton and Co, 1979. Tolstikov, V. G. "Yadernaya katastrofa 1957 goda na Urale," in Vestnik Chelyabinskogo universiteta, 1 (1999): 86-95. Trabalka, John R., L. Dean Eyman, and Stanley I. Auerbach. "Analysis of the 1957-1958 Soviet Nuclear Accident," in Source: Science, New Series, 209, no. 4454 (1980): 345–53. Thomas Rabl was born in 1987. He studied history and Russian language at the Humboldt University Berlin and East European Studies at the Ludwig Maximilians University Munich. His main area of research is the economic history of the USSR. His master’s thesis dealt with reforms of the planned economies in Eastern and Central Eastern Europe, especially in the Soviet Union. He received his MA in 2013. Currently he is working in the field of public relations.